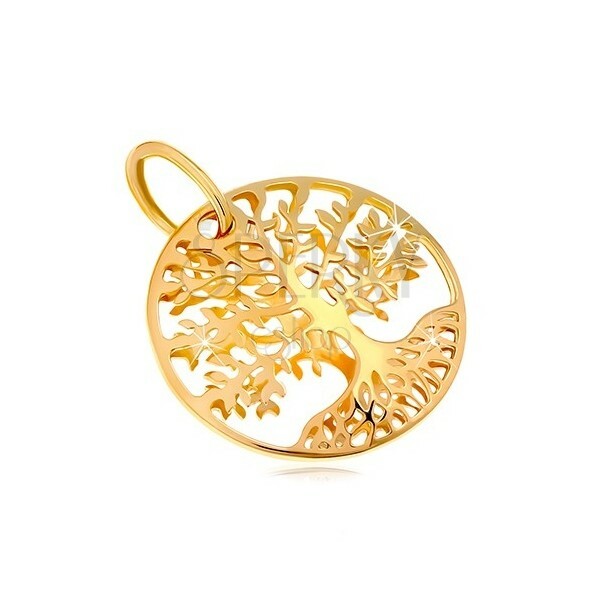 14K gold pendant, rounded surface on both sides with a precisely engraved patulous tree, shiny and smooth surface. 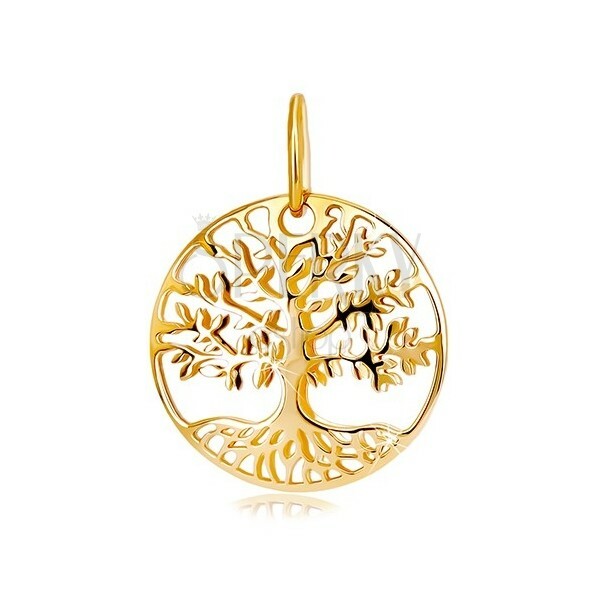 Yellow 14K pendant has the shape of a circle which consists of two slightly rounded parts with engraved symbol of life - patuluous tree. 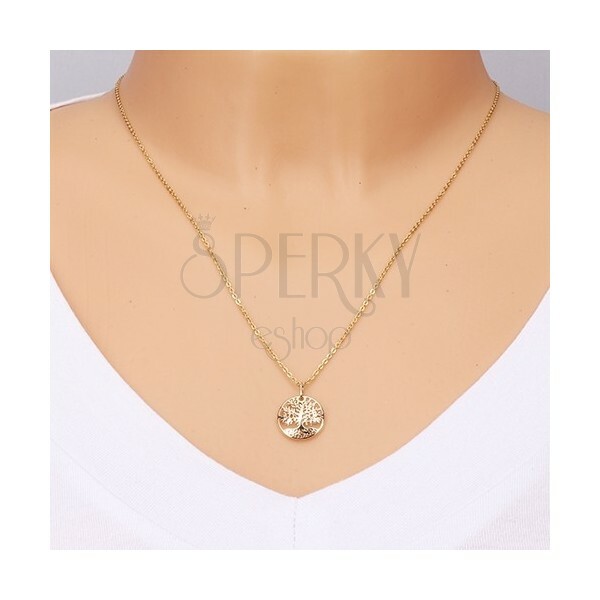 The pendant is two-sided and hollow in the centre. The eye for the chain is thin and has an oval shape. Silver hinged earrings 925, clear shimmering zircons, sign "PEACE"